REMEMBER: Clinic team/TS MUST LABEL Thin Prep Vial with patient MRN, name, and DOB in black ink BEFORE collecting specimen. No label will print out for Pap smears. Broom: Insert the central bristles of the broom into the endocervical canal deep enough to allow the shorter bristles to fully contact the ectocervix.Push gently, and rotate the broom in a clockwise direction five times. Spatula/Brush: With the long arm of the spatula towards the os, complete one 360 degree turn maintaining contact with the ectocervix. Insert the brush into the endocervical canal until the bristles just disappear. Rotate clockwise 180 degrees (one half turn). Rinse the broom or spatula/brush as quickly as possible into the ThinPrep solution vial by pushing the broom into the bottom of the vial 10 times, forcing the bristles apart. Swirl the vigorously to further release material and then discard the collection device. Do not leave the collection device in the solution. After attending signs the order, a requisition order will print out in the preceptor room printer. Please check that the Thin Prep Vial is labeled with patient MRN, name, and DOB in black ink. Without labeling the vial, the lab may not result in a timely fashion. 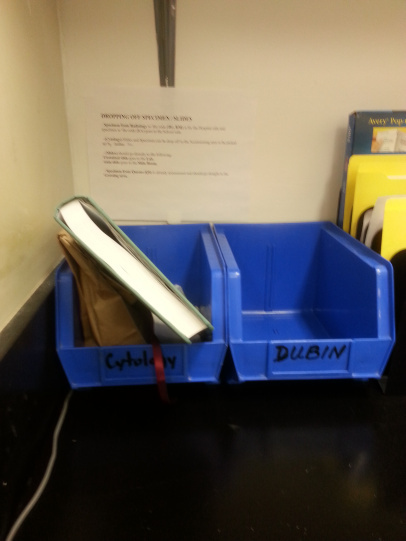 Look for a blue Atran drop box that is labeled “Cytology”. In general, please talk to a staff member to ensure you are putting it in the right bin, as there are several bins in this room. The bin may have a sign on it that says "Pick-up only, do not drop off specimens." This sign directs you to the Atran cytopathology lab (Atran 6-10); however, that is closed on weekends. We have been using the bin anyway, and the specimens do (usually) make it to Atran the following Monday. 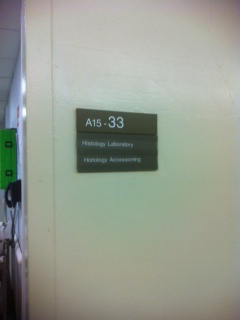 Note: Previously, you needed to log samples in a green book in the Accessioning Room; this is no longer done. Use pink tube. May be found in GYN cart or labs room. 1) Insert swab into endocervical canal until bristles just disappear. 2) Rotate slowly for 20-30 seconds. 3) Remove swab and place into collection tube. Break off excess swab leaving brush in collection tube and replace lid. We can now use APTIMA tubes for this. The test comes with a tube and +/- a dropper. If there is no dropper, you can find them in the Labs room. 1) Have the pt void into a sterile urine cup. 2) Firmly tap the bottom of the tube on a flat surface to dislodge any large drops from inside the cap. 3) Transfer the urine into the Aptima tube with the provided dropper, being careful not to touch the walls of the sterile cup. 4) Fill the tube until the urine level is within the label window (see laminated sheets on wall of lab room for pictures of what this looks like). 5) Add the label once it prints out. 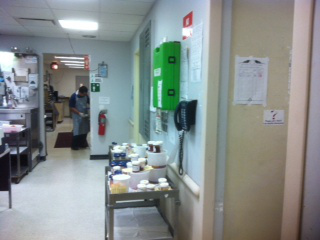 Drop off with rest of blood samples to 8th Floor Labs in East Building.